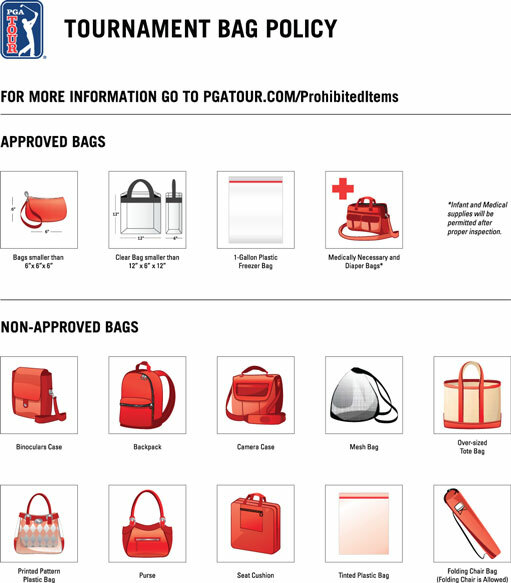 The following information is provided to enhance your visit to the Arnold Palmer Invitational as well as to comply with the rules and regulations established by the PGA TOUR. All items are subject to search. You will be asked to return all unauthorized items to your car before you are allowed to board shuttle. Failure to follow the direction of security guards, gallery marshals or championship officials may result in ejection from the grounds or revocation of your tickets without refund. Please observe the rules and regulations noted above.